Airbrushed Make-up puts ingenous design technology under the supreme command of natural beauty. The pigments are distributed over the skin as a mist of thousands of microdroplets. The droplets are so small, that one alone is almost invisible to the human eye. 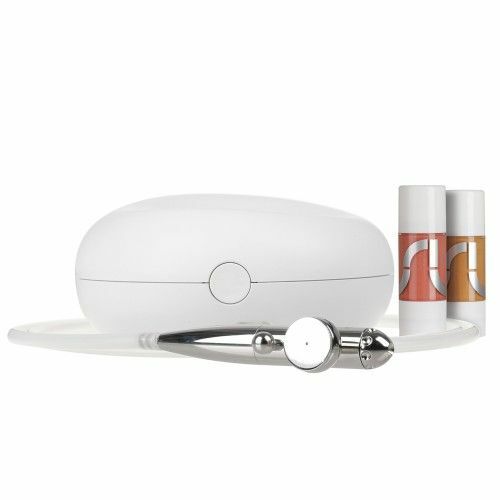 The uslu airlines AOP Air(o)Pak airbrush make-up system is our solution for enhancing a natural beauty-look and achieving extremely smooth looking skin. The even, sensitive distribution of sprayed water-based pigment mist allows your skin to glow and enhances the unique natural beauty of your features. We transferred the airbrush makeup from the professional field to a user-friendly easy-to-use technology, a tailored tool for on-the-go needs. The mini compressor, which we developed is very easy: easy to use, to clean, to carry and to store. Airbrushed Make-up achieves extremely smooth poreless looking skin and allows for shinethru of very tiny details at the same time. The evenly distribution of a sprayed pigment mist paired with a very sensitive usage of materials enhances the airbrushed face rather than hiding its unique features under a layer (covering it up). Something about the possibilities of airbrush for more complex makeup .